Since its inception, the Trudeau Foundation has selected and supported 217 students out of over 2500 applications. 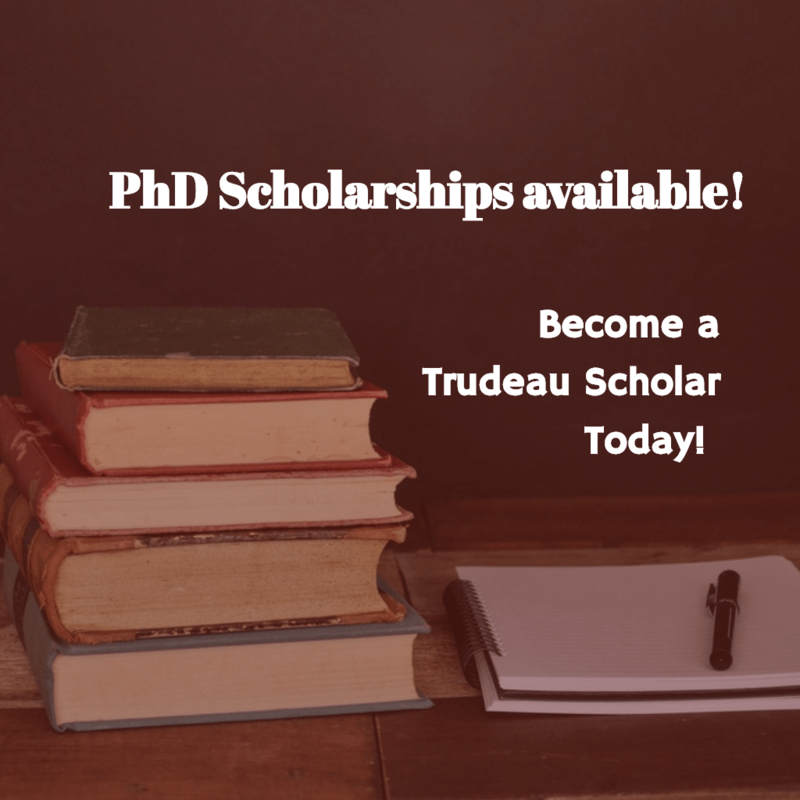 The Pierre Elliot Trudeau Foundation doctoral scholarship in the social sciences and humanities is the only one of its scope and stature in Canada. Trudeau Scholars are outstanding students who are interested in growing in a multidisciplinary learning environment and addressing important questions for Canada and the world. Involvement in a lively exchange with other researchers or scholars who have a keen interest in contributing to public dialogue. Support from an outstanding community of scholars, mentors and fellows, and opportunities for interaction with 350 leaders and personalities in every sector of social sciences and the humanities. You must be a full-time first or second-year student enrolled (or in the process of enrolling) in a doctoral program in the humanities or social sciences. Canadian citizens who are enrolled in a full-time doctoral program in Canada, or Canadian citizens who are enrolled full-time in a doctoral program outside Canada are also eligible to apply. Up to one scholar in four selected every year may be a non-Canadian (foreign national or permanent resident) enrolled full-time in a doctoral program at a Canadian institution. Students from emerging nations are therefore encouraged to apply for this scholarship. Candidates must be nominated by the Canadian or foreign higher education institution where they are currently studying, or wish to study at. Universities may nominate a candidate from their institution who is currently pursuing doctoral studies at another university. 15 candidates are then recommended to the Application and Nomination Review Committee, and then to the Board for approval. The application period opens in September 2018 and closes on 8 December 2018. My name is Mohammed Ali from Ethiopia i’m wase study Agriculture department plant science from Wello university BSC degree, i want to study my MSC degree related to my filed, if i gate Scholarship place contact me.